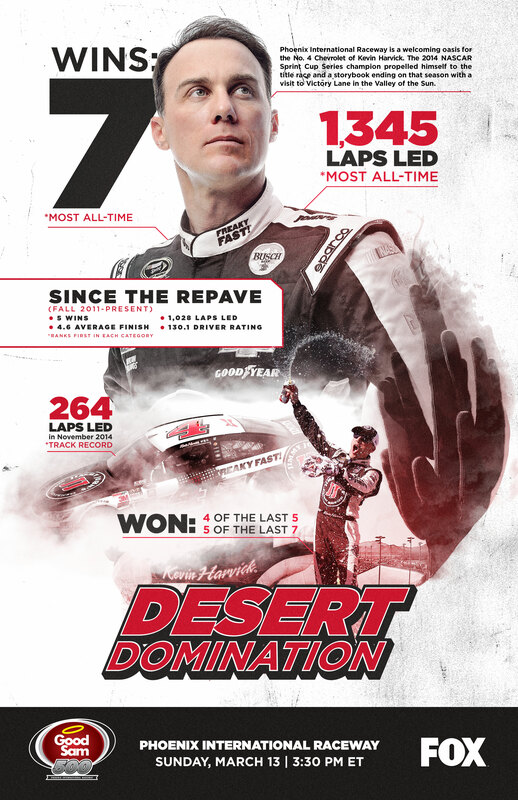 No driver is as automatic at a track as Kevin Harvick is at Phoenix International Raceway. The No. 4 Chevrolet driver has won five of the last seven races, including four of the last five at the one-mile track. Overall, he boasts a record seven victories at the Arizona oval and will go for number eight in Sunday’s Good Sam 500 (3:30 p.m. ET on FOX). Harvick has started the season off strong, logging finishes of fourth (Daytona), sixth (Atlanta) and seventh (Las Vegas).